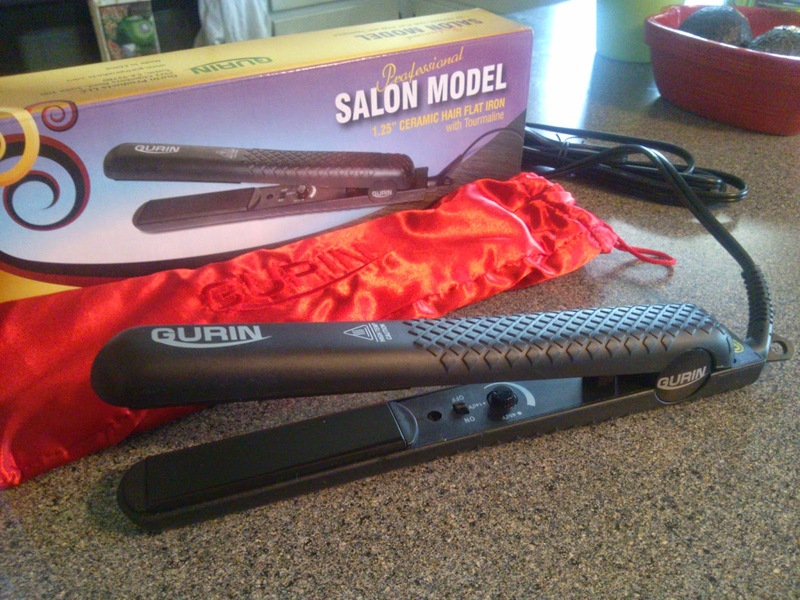 Gurin's Salon Model Ceramic Flat Iron is a 1.25" hair straightener. It has tourmaline plates which create a shiny, silky finish. The plates are "floating" which diminishes hair pulling as your hair glides through. It has adjustable temperature from 140 to 450F. Some of the features I like about this flat iron is the high-quality durable construction, textured grip on the handles, the swivel cord which makes the straightening process easier, and the red velvet storage pouch that came with it. The iron works really well and leaves my hair shiny and smooth. It heats up quickly and the handles stay cool. 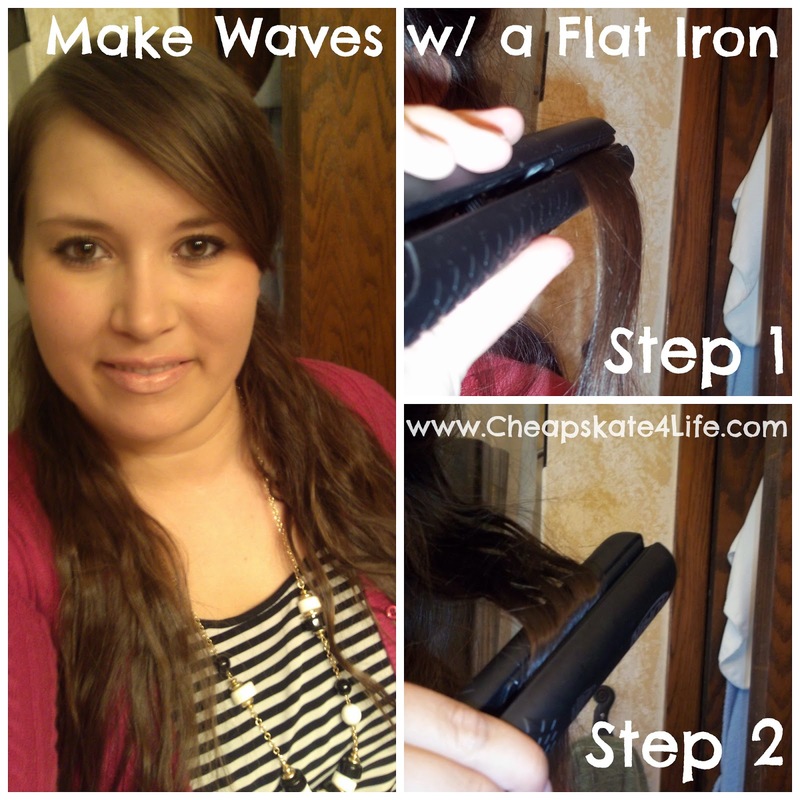 This flat iron is very affordable and well worth the cost. I did notice a couple downfalls, like that the temperature dial and on/off switch are in-between the two handles. You can reach them without touching the hot plates, but you have to really maneuver your fingers to reach. The other downfall is the lack of a mechanism that holds the handles closed when not in use. But I suppose since it comes with a storage bag, it's not needed. I just like to be able to close my flat iron and throw it in my hair tools organizer once it cools off. I have straight, fine hair and you wouldn't think I need a straightener, but honestly I think anyone can benefit from a flat iron. It seals my hair cuticles and makes my hair look so shiny and healthy. It's even a nice refresher for "2nd day" hair to make it look polished. I also learned to use the flat iron to curl and crimp my hair. There are tons of ideas online, but the one I like is alternating the direction of the iron down each section of hair to create waves (see below.) Start by flipping the iron up and hold for a few seconds, then move down about an inch and flip the opposite way. This will create a "crimp" in your hair. Repeat all the way down and then move to another section. I received this product to provide an honest review via Tomoson.com. Regardless, I only recommend products or services I use personally and believe will be good for my readers.